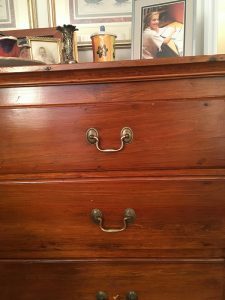 The missing pull on the beautiful antique wooden dresser Sarah inherited from her mother was an eyesore. The dresser fit perfectly into her new home, she just needed one replacement pull. Knockout Knobs created a replica from the broken pull. First, we printed in plastic to make sure the new pull fit perfectly. Then we printed in antique stainless steel which matched perfectly with the original pulls on the dresser. 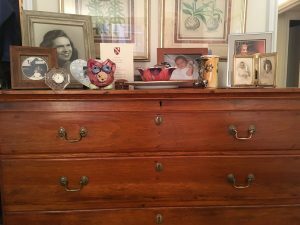 Now her antique dresser looks flawless.